Camping is a different experience for the travellers which can take them away from pollution and hectic life of the cities into the lap of Mother Nature. 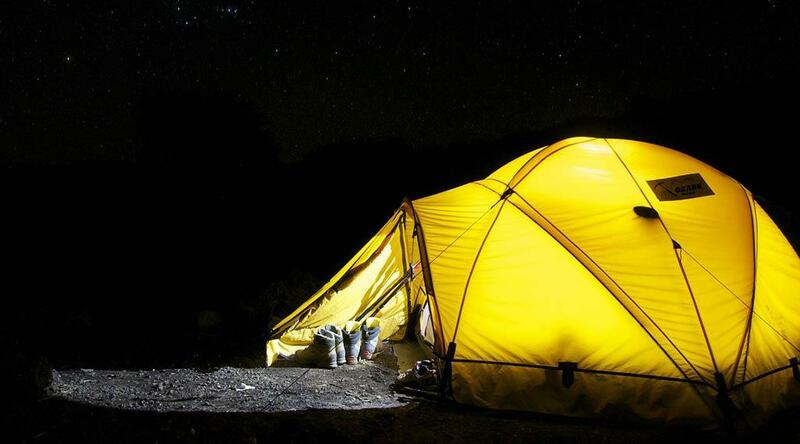 Read on to know 10 best camping places in India to camp under the stars. Exploring new and hidden places with friends and spending a night under the starry sky, singing around a bonfire with delicious food is the perfect idea to spend some leisure time with your loved ones. If you also love this kind of vacation then probably you love camping too as there is no better way to experience the outdoors and feel the nature so closely than by living in a tent. In India where natural beauty is spread in abundance one can find the camping site very easily- here we are with best Camping places in India to spend some leisure time with friends. Jaisalmer golden city of India is one of the best camping places in India. Camping at the sand dunes with spectacular natural designs in the sand and surrounded with natural beauty will make the stay a memorable experience. Lots of camping options are available at Sam Sand Dunes, Jaisalmer from budget to luxury so choose any of them according to your budget and requirements and enjoy camping musical program, local tribal dance, bonfire, and food. Camel Safari, Jeep safari also known as dune bashing, Quad Biking will make camping more exciting and fun filled. In the foothills of the Himalayas, Rishikesh attracts rafting fans to hit the rapids on the Ganga and camping on the riverside. It gives a real different experience to the travellers living by the banks of the river enjoying holy water of Ganga and many other activities arranged by these camps. Rishikesh is best camp site across the country. Camps on the river bank activates in summer to cater all budgets. One can go for river rafting, enjoy beach volleyball, bonfire with delicious camp food and can try hands at other adventure sports. There is no other location where Camping, river rafting and trekking can be enjoyed at the one place. Summer is the best time to enjoy camping at Rishikesh as the region gets very cold in winter and remained closed during monsoon. Pangong Lake is very beautiful and the world's highest saline water lake. It situated at a height of 14,270 ft. freezes completely during winters is famous for its changing shade. 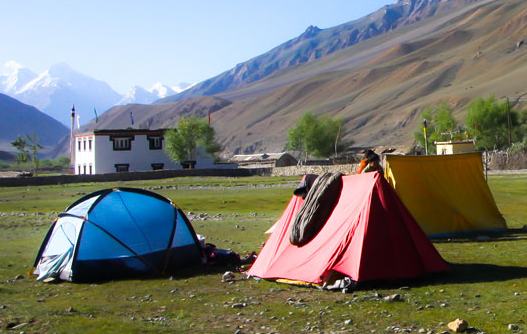 Camping at the bank of Pangong Lake is a wonderful experience where one can enjoy the starry night and spectacular views of the Chang Chenmo mountain range. The best time for camping at Pangong Lake is from May to September as the weather is pleasant and one can enjoy the beauty of lake at its most. 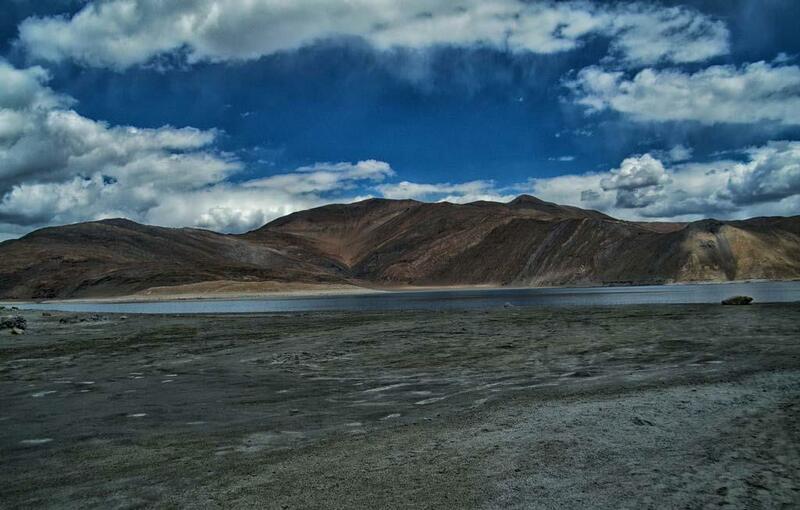 Though very few camping options are available at Pangong Lake but all are worth to stay. Kasol a beautiful hill station in Himachal Pradesh is one of my favourite camping sites in India. It's a small village situated in Parvati Valley, on the banks of the Parvati River is also known as mini Israel of India. 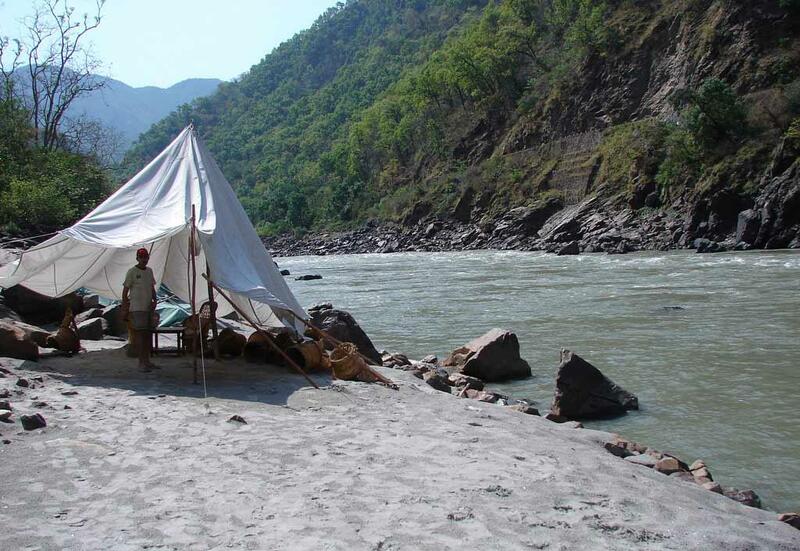 Camping on the banks of Parvati River is a fun filled event here. Kasol is a favourite place for trekkers so many small camps are located on the banks of Parvati River which are popular with trekkers heading up to some of the most popular treks SarPass, Yanker Pass, Pin Parbati Pass and Kheerganga. Camping at Kasol is very affordable activity so good for students, bachelors and for those looking for budget travelling. Dharamshala is a beautiful hill station wooded with oak and conifer trees and snow-capped mountains make this place an ideal tourist location. Camping in Dharamshala is the best place to get close to nature. There are many trekking routes in Dharamshala which attracts lots of bag packer to camping at this beautiful location. 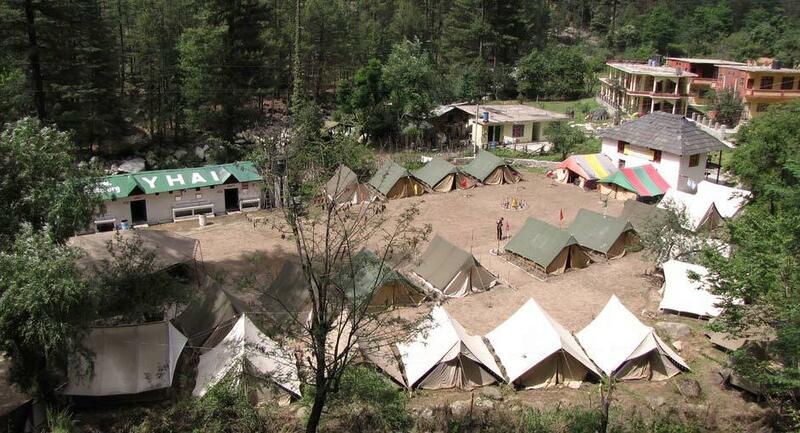 Camps at Dharamshala offer a complete package from adventure activities to services like trekking in Dharamshala. There are many other attractions that can be combined with treks in Dharamshala like one can visit McLeod Ganj, Dalai Lama temple, Kangra Fort, Masroor monolithic rock-cut temple and many famous temples of the region. The best time for camping in Dharamshala is from March to the middle of June and from the middle of September to the first half of October. Mashobra is blessed with natural beauty that makes it the best camping places in India and many other fun filled activities. Camping at Mashobra is the best way to enjoy in the lap of Mother Nature. There is a complete range of adventure activities available in Mashobra like skiing, Jungle trek, Rappelling, Paragliding and lots more. Camp Mashobra Greens is one of the most famous camping sites at Mashobra, Shimla. Best time for camping in Mashobra is done from April to middle of June and from the middle of September to October when the weather is pleasant to enjoy all the activities. Lonavala a beautiful tourist attraction in Maharashtra is the best camping site that attracts lots of tourists of every age and creed. One can go for trekking, zorbing and quad biking and can explore nature in its untouched form at Lonavala. It is the best place for camping near Mumbai to enjoy fun filled activities. Enjoy the beautiful sunset or sunrise on the seashore, play beach volleyball and campfire with your friends till the sunrise will make your trip long lasting. The best for camping at Lonavala is in the winters. Go for night trekking, play games with friends, grill your own BAR-B-QUE, chill around bonfire and sleep in the lap of mother. Camping in Munnar is really a fun for adventure lovers in the wilderness and wide open spaces along the Western Ghats (Sahyadris) in and around the beautiful hill town of Munnar. Nature hikes, mountain biking, nightly campfires, and camaraderie are some of the best reasons to choose Munnar as a camping destination. Corporate executive, students, and groups of all sizes and interests can visit the place as it has something for everyone to get away from the hustle and bustle of the plains and the stressful living in cities. Nainital is a beauty district of Uttarakhand offer lots of adventure activities like Camping, Paragliding, Bird Watching, Hill Climbing, Biking and Rock Climbing to the tourist throughout the year. Easy tented accommodation is available at Nainital letting you breathe fresh air. 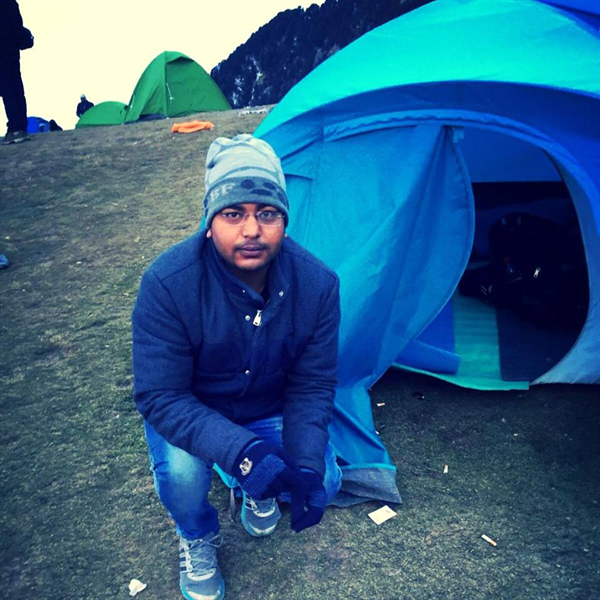 The best camping sites in and around Nainital are Bhimtal, Mukteshwar, Saatal where can enjoy the camping to spend some leisure time with friends and family. Enjoy hiking, Trekking, Tarzan swing and much more, camping in and around Nainital is a must-do if you are an adventure seeker. Rann of Kutch is a large area of salt marshes located in Kutch district of Gujarat. It is a beautiful place with white sands under your feet and the limitless sky over the head. If you are planning a trip to the Rann of Kutch, then camping is the best option to stay there. Rann Utsav is the best time to visit Rann of Kutch, live in a tent city there and enjoy the colours of the festival. 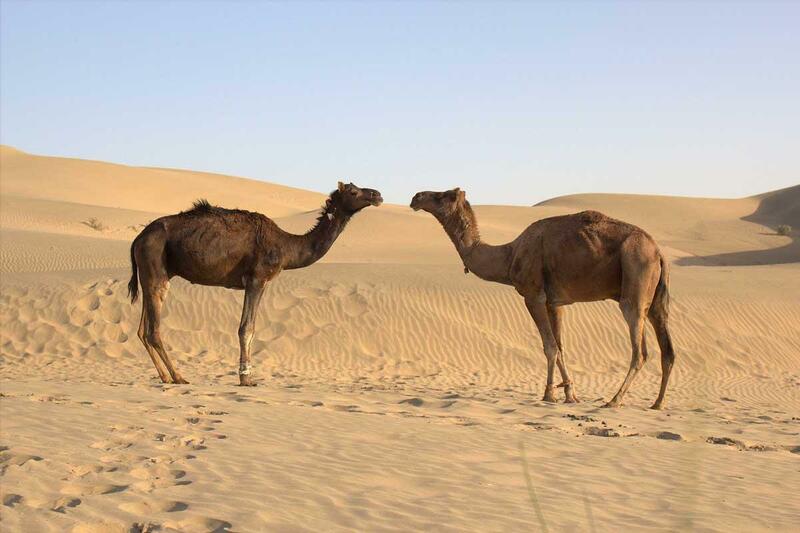 Indulge yourself in desert safari, enjoy Kutchi cuisine and gaze the uncounted stars over your head. Great Blog! It has clearly provided the information on best camping places in India. The pictures provided are really awesome.